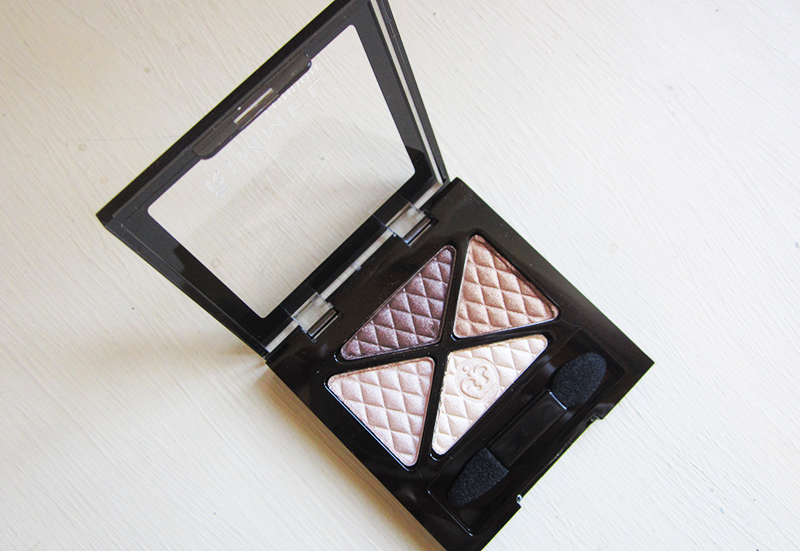 One of the great things about eye shadow trios and quads is that they are great for travel or carrying around in your purse, and this quad comes in a compact yet sturdy plastic case. The downside is like many other drugstore eyeshadow sets the sponge applicator is pretty useless, so I would definitely recommend using your own eyeshadow brush as it will make it so much easier to neatly apply your eyeshadow. A nice little touch is on the back they've given you a numbered image to show how to apply the eyeshadow to create a nice smokey eye look (perfect for anyone like me who is a bit clueless when it comes to eyeshadow application!). What I really love about this quad is the colour selection - specifically the lighter brown shade and the creamy/silver shade - so pretty! That said ultimately I felt a little bit disappointed by these eyeshadows. The texture of them is a little chalky and they aren't particularly easy to apply without eyeshadow falling everywhere especially with the applicator that comes with it. That said the colour can be built up to create a pretty everyday eye look either combining the colours or on their own but you do have to work with the eyeshadow to achieve this. Another negative is that they aren't particularly long lasting, so if you're not using an eyeshadow primer you will have to top the colour up. All in all I wasn't blown away. I'm being a little harsh on these eyeshadows purely because I think that they just aren't up to the standard I'd expect considering that you can get eyeshadow palettes for a similar price with many more shades. That said there's a pretty selection of colours and if you're willing to work with the eyeshadow a bit you can achieve a lovely eyeshadow look. Thanks for reading lovelies! 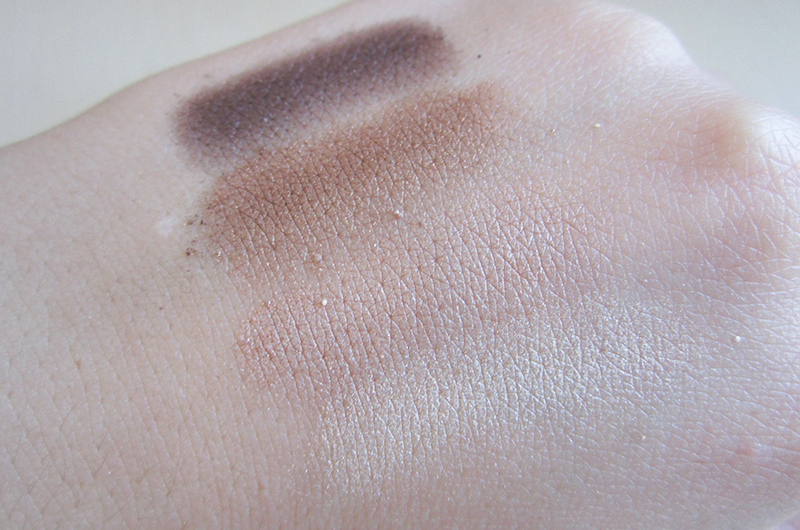 What do you think about buying eyeshadow trios or quads? Do you prefer them to bigger palettes? 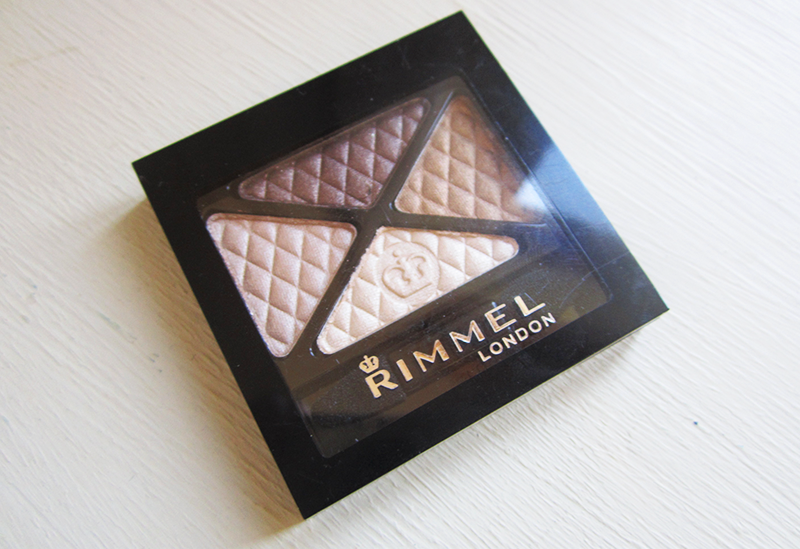 I used to have a similar one to this a year ago or so, but it broke in my handbag and I would always use a shade more than the other :p I quite liked it but my nakeds are all I use nowadays! I love the shades in this but it's a shame the texture of the shadows isn't great.. I find inexpensive eyeshadows can be so hit and miss! I agree with your review, Vicky. I have two of these quads, one is the dark emerald green and the other is more on the purple side and the quality varies. There's also lots of fallouts and too shimmery for me.